A rare example of what is called "the pinnacle of the straightaway racer's art" will be on display Friday and Saturday at the Goodguys 25th Southeastern Nationals at Charlotte Motor Speedway. 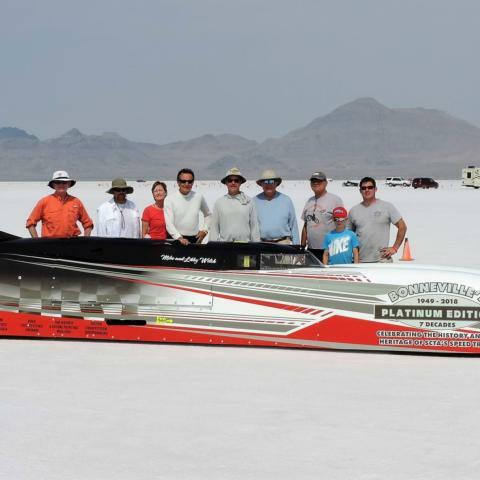 Mike Welch's 1,800-horsepower Streamliner is one of the world's fastest wheeled machines, capable of reaching speeds upwards of 350 miles per hour on the Bonneville Salt Flats in Utah - the site of numerous world land speed records. 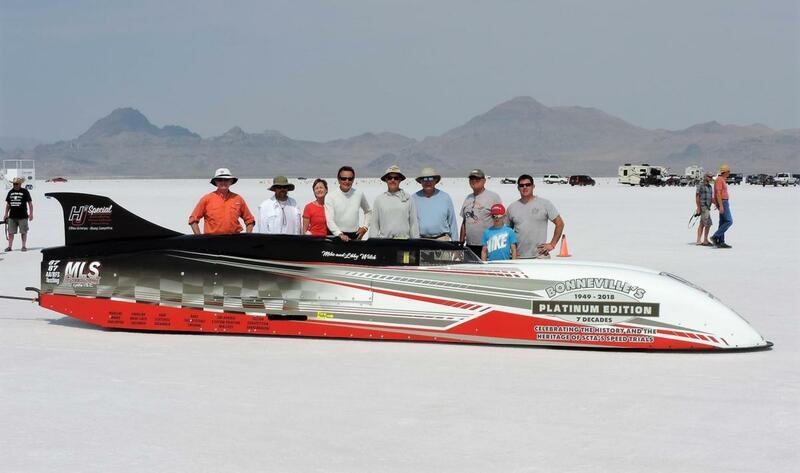 Welch's Streamliner is designed solely to compete on Bonneville's five-mile course and is one of only 20 Streamliners in existence. The "H J Special" - named for two of Welch's heroes, 1950s racers Homer Galloway and Johnny King - came to life after three years of construction at Welch's shop in Lydia, South Carolina. The Streamliner is the first to visit the Goodguys 25th Southeastern Nationals, the Southeast's most spectacular displays of hot rods, custom cars and high-energy AutoCross exhibitions. "Our connection to Bonneville is simple: even though it's over 2,000 miles away (from South Carolina), I learned to read as much by reading Hot Rod Magazine and the likes as I ever did with (regular) books," Welch said. "Articles on Bonneville always captured my attention, with unheard-of speeds by strange cars in the strangest of places. … This makes it a very special place. A visit there is like stepping out of reality for a short time and the 'unreality' you find there is a very nice change." The 26.5-foot-long machine features a 16-foot wheel base, weighs just under 5,000 pounds and is wrapped in a hand-formed, all-aluminum body. The Streamliner's rear-engine design adds to its status as the most local of all Streamliners. It's powered by a 565-cubic-inch Chevrolet engine built by Gene Fulton of Fulton Competition in Spartanburg, South Carolina. Its next test date is slated for early next year, followed by a return to Bonneville in August 2019. Goodguys AutoCross also returns to this year's Goodguys show with a spectacular, tire-smoking exhibition of speed and raw power on a course inside the speedway's infield. Erin Crocker Evernham, one of the most accomplished female racers of the 21st century, headlines the AutoCross exhibition with the 1970 Camaro she'll drive on Friday and Saturday. Advance single-day tickets to the car show cost $17 and are $20 at the gates, while kids 7-12 get in for just $6 per day and kids six and younger get in FREE. Fans can buy tickets to the Goodguys Southeastern Nationals online or by calling the speedway's ticket office at 1-800-455-FANS (3267).